Tankless water heaters produce hot water on demand, when someone turns a faucet or starts an appliance. Unlike traditional heaters, tankless models don’t use energy to keep stored water hot. They only kick into gear when someone is ready to take a shower, do laundry, or needs warm water for any other reason. In an on-demand system, water flows through pipes heated by either a gas burner or electric coils. Because they’re not perpetually on, tankless models are efficient and reduce overall home energy usage. Tankless heaters are rated according to the temperature increase they can produce and how quickly water flows through them. Before you select a heater, you’ll need an estimate of both variables. For instance, a heater that’s suitable for an entire house will have a different rating from a heater destined to supply just one room. Here’s how to figure out the size heater you’ll need. 1. Figure the total flow rate: Add up the flow rates, or gallons per minute, of the maximum number of devices you anticipate using simultaneously. For instance, if you need to accommodate a 3 gpm shower, a 1.5 gpm kitchen faucet and a 1.5 gpm dishwasher, then you’ll need a water heater rated for at least 6 gpm. 2. Figure the temperature rise: To get the rise, subtract the temperature of the inflowing water from the desired temperature of the outflowing water. If you don’t know the inflowing water temperature, use 50° F. In most cases, you won’t require a temperature above 115° F. In this scenario, you’ll need a heater that can produce a temperature rise of 55° F.
Based on the examples above, you would need a water heater that could produce 6 gallons per minute with a 55° F rise in temperature. If you don’t know the flow rates or average temperatures associated with household water usages, use the guidelines below to figure out your water heater needs. Gas-powered heaters can heat water faster than electric heaters. 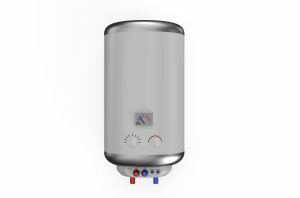 A gas water heater is capable of producing a 70° F rise in temperature at a flow rate of 5 gpm, while an electric heater can handle the same temperature rise for water flowing at 2 gpm. Proximity is also an important factor in tankless heaters. On-demand heaters are generally close to the devices they serve and water may be cooler as the distance from the heater increases. From now until the end of December, 2015, Simpson Plumbing is holding a special offer of a $250 discount on tankless water heaters. Call us today!